Student Hana Sedláčková won The Undergraduate Awards, a prestigious competition also called 'Nobel prizes for the young. Hana basically keeps running from lab to lab, with occasional stops at lectures. 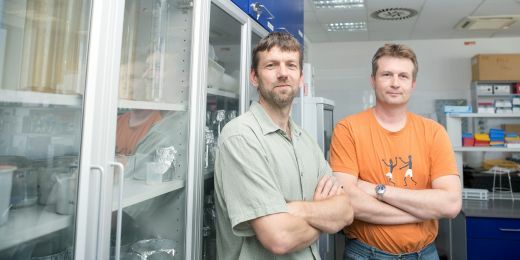 She is in the second year of biochemistry master's study programme, but she has been a regular visitor at the Masaryk University Bohunice campus labs for the past six years. 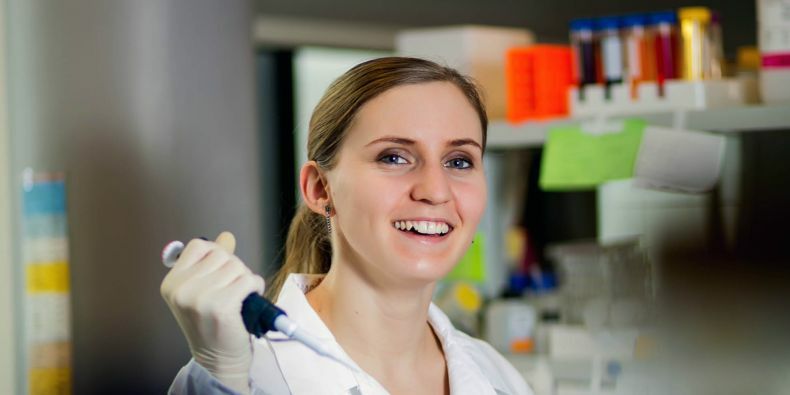 Hana Sedláčková started researching the RECQ4 protein when she was a grammar school student and has been collecting one international award after another together with students from Harvard or Yale. The mutations of this protein are the cause of the Rothmund-Thomson syndrome, which is a genetic disorder. Her research started as a grammar school scientific paper and continued to evolve into her bachelor's thesis and then her master's thesis. The high quality of her research was recently confirmed when she won the Life Sciences category of The Undergraduate Awards, a prestigious international competition also called 'Nobel prizes for the young'. Her thesis was first included in the shortlist of 27 best works and then a committee chose her as the winner. The Undergraduate Awards is the only international competition for students in bachelor's degree programmes. It accepts submissions from students who are working on their bachelor's thesis or whose thesis recently passed defence. This year, there were 5,117 participants from 255 universities in 39 countries. 'I was surprised to see my thesis shortlisted together with research by Harvard, Yale or Karolinska institutet students. To see your name and the name of Masaryk University next to theirs is a wonderful feeling', says Sedláčková. is the world's largest academic awards programme identifying great research and work in a number of disciplines. There are 25 competition categories ranging from natural science to business and art. The winners and shortlisted students from all categories met in Dublin early in November, where the winners received gold medals from the hands of the Irish president. However, similarly complex structures are not desirable in an organism, as they can lead to genome instability, which can in turn lead to cancerous growth. The young biochemist therefore continues to examine why RECQ4 binds to these places in particular and what are its other functions. 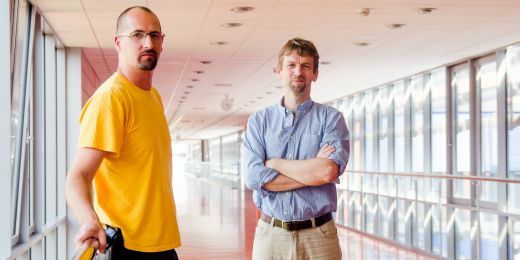 'Scientists have previously found that other proteins called RecQ helicases are able to unravel more complex forms of DNA, helping to protect the genetic information. The RECQ4 protein has very low levels of this unravelling activity, so we are trying to find out what purpose it serves. For example, it might be a signal for other proteins that unravel the highlighted complex DNA structure', she describes. She is careful not to give away too much of her research results. 'For example, the results part of by bachelor's thesis is hidden in the university information system, because we were waiting for them to be published in a paper. I was also worried about submitting my work to the competition, but fortunately the paper was published before the submission deadline,' she says, explaining that she was afraid the data from her research might be disclosed before they were published. She has been working on DNA and protein research in the campus labs for several years, but still enjoys her work. 'There are low moments, but then you successfully perform a complicated reaction or you try out a new approach and it works and you immediately start feeling good', says the student who has already achieved a lot and won a number of awards. In 2011 she won the Česká hlavička award and two years ago, when she was already studying at the Faculty of Science, she obtained a GE Foundation grant. So far, she has been researching the RECQ4 protein and its reactions with DNA in test tubes, using biochemical methods. However, last year before the summer holidays she went to Copenhagen as an intern. During her stay, she learned to work with cells and now she would like to move her research a step further and study the behaviour of the protein directly in human cells. She basically keeps running from lab to lab, with occasional stops at lectures. 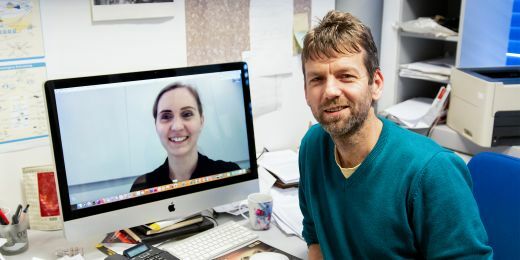 'My colleagues sometimes seem to treat me as a postdoc and occasionally forget that I still need to attend classes and write my thesis', she smiles as she summarises her long-term participation in the group led by Lubomír Krejčí. But she also admits that it is hugely beneficial for her studies. 'When I started working at the lab, I didn't have much theoretical knowledge. And as I started attending lectures, my experience from the lab started to connect with the theoretical concepts, which is a huge advantage. I was able to imagine the reality behind all the words and equations', says Sedláčková. She is very grateful for the help she received from various people when she was working on her grammar school paper and then on her research, and this year, she decided to try the role of a mentor herself. She supervised Barbora Čechová, who also studied the Rothmund-Thomson syndrome and who is one of the winners of this year's Česká hlavička awards. 'I wanted to supervise someone who was interested in science and to try and help them using my experience from competitions. And it worked out', she says with a smile. The unhappy fate of two families helped international team of scientists discover a genetic syndrome.